Section 1. Purpose and Intent. The citizens of Massachusetts intend that there should be no punishment under state law for qualifying patients, physicians and health care professionals, personal caregivers for patients, or medical marijuana treatment center agents for the medical use of marijuana, as defined herein. (A) “Card holder” shall mean a qualifying patient, a personal caregiver, or a dispensary agent of a medical marijuana treatment center who has been issued and possesses a valid registration card. (B) “Cultivation registration” shall mean a registration issued to a medical marijuana treatment center for growing marijuana for medical use under the terms of this Act, or to a qualified patient or personal caregiver under the terms of Section 11. 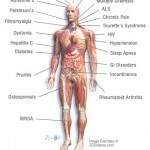 Cancer, glaucoma, positive status for human immunodeficiency virus, acquired immune deficiency syndrome (AIDS), hepatitis C, amyotrophic lateral sclerosis (ALS), Crohn’s disease, Parkinson’s disease, multiple sclerosis and other conditions as determined in writing by a qualifying patient’s physician. (D) “Department” shall mean the Department of Public Health of the Commonwealth of Massachusetts. (E) “Dispensary agent” shall mean an employee, staff volunteer, officer, or board member of a non-profit medical marijuana treatment center, who shall be at least twenty-one (21) years of age. (F) “Enclosed, locked facility” shall mean a closet, room, greenhouse, or other area equipped with locks or other security devices, accessible only to dispensary agents, patients, or personal caregivers. (G) “Marijuana,” has the meaning given “marihuana” in Chapter 94C of the General Laws. 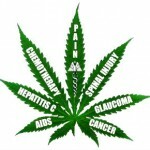 (H) “Medical marijuana treatment center” shall mean a not-for-profit entity, as defined by Massachusetts law only, registered under this law, that acquires, cultivates, possesses, processes (including development of related products such as food, tinctures, aerosols, oils, or ointments), transfers, transports, sells, distributes, dispenses, or administers marijuana, products containing marijuana, related supplies, or educational materials to qualifying patients or their personal caregivers. (I) “Medical use of marijuana” shall mean the acquisition, cultivation, possession, processing, (including development of related products such as food, tinctures, aerosols, oils, or ointments), transfer, transportation, sale, distribution, dispensing, or administration of marijuana, for the benefit of qualifying patients in the treatment of debilitating medical conditions, or the symptoms thereof. (J) “Personal caregiver” shall mean a person who is at least twenty-one (21) years old who has agreed to assist with a qualifying patient’s medical use of marijuana. Personal caregivers are prohibited from consuming marijuana obtained for the personal, medical use of the qualifying patient. An employee of a hospice provider, nursing, or medical facility providing care to a qualifying patient may also serve as a personal caregiver. (K) “Qualifying patient” shall mean a person who has been diagnosed by a licensed physician as having a debilitating medical condition. (L) “Registration card” shall mean a personal identification card issued by the Department to a qualifying patient, personal caregiver, or dispensary agent. The registration card shall verify that a physician has provided a written certification to the qualifying patient, that the patient has designated the individual as a personal caregiver, or that a medical treatment center has met the terms of Section 9 and Section 10 of this law. The registration card shall identify for the Department and law enforcement those individuals who are exempt from Massachusetts criminal and civil penalties for conduct pursuant to the medical use of marijuana. (M) “Sixty-day supply” means that amount of marijuana that a qualifying patient would reasonably be expected to need over a period of sixty days for their personal medical use. (N) “Written certification” means a document signed by a licensed physician, stating that in the physician’s professional opinion, the potential benefits of the medical use of marijuana would likely outweigh the health risks for the qualifying patient. Such certification shall be made only in the course of a bona fide physician-patient relationship and shall specify the qualifying patient’s debilitating medical condition(s). (b) Providing a qualifying patient with written certification, based upon a full assessment of the qualifying patient’s medical history and condition, that the medical use of marijuana may benefit a particular qualifying patient. Any person meeting the requirements under this law shall not be penalized under Massachusetts law in any manner, or denied any right or privilege, for such actions. (b) Presents his or her registration card to any law enforcement official who questions the patient or caregiver regarding use of marijuana. Section 5. Protection From State Prosecution and Penalties for Dispensary Agents. (b) Is acting in accordance with all the requirements of this law. (A) The lawful possession, cultivation, transfer, transport, distribution, or manufacture of medical marijuana as authorized by this law shall not result in the forfeiture or seizure of any property. (B) No person shall be arrested or prosecuted for any criminal offense solely for being in the presence of medical marijuana or its use as authorized by this law. (A) Nothing in this law allows the operation of a motor vehicle, boat, or aircraft while under the influence of marijuana. (B) Nothing in this law requires any health insurance provider, or any government agency or authority, to reimburse any person for the expenses of the medical use of marijuana. 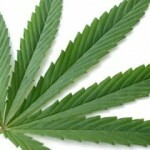 (C) Nothing in this law requires any health care professional to authorize the use of medical marijuana for a patient. (D) Nothing in this law requires any accommodation of any on-site medical use of marijuana in any place of employment, school bus or on school grounds, in any youth center, in any correctional facility, or of smoking medical marijuana in any public place. (E) Nothing in this law supersedes Massachusetts law prohibiting the possession, cultivation, transport, distribution, or sale of marijuana for nonmedical purposes. (F) Nothing in this law requires the violation of federal law or purports to give immunity under federal law. (G) Nothing in this law poses an obstacle to federal enforcement of federal law. Section 8. Department to define presumptive 60-day supply for qualifying patients. Within 120 days of the effective date of this law, the department shall issue regulations defining the quantity of marijuana that could reasonably be presumed to be a sixty-day supply for qualifying patients, based on the best available evidence. This presumption as to quantity may be overcome with evidence of a particular qualifying patient’s appropriate medical use. Section 9. Registration of nonprofit medical marijuana treatment centers. (A) Medical marijuana treatment centers shall register with the department. (a) An application fee in an amount to be determined by the department consistent with Section 13 of this law. (i) The legal name and physical address of the treatment center and the physical address of one additional location, if any, where marijuana will be cultivated. (ii) The name, address and date of birth of each principal officer and board member. (c) Operating procedures consistent with department rules for oversight, including cultivation and storage of marijuana only in enclosed, locked facilities. 2. None of the principal officers or board members has served as a principal officer or board member for a medical marijuana treatment center that has had its registration certificate revoked. (C) In the first year after the effective date, the Department shall issue registrations for up to thirty-five non-profit medical marijuana treatment centers, provided that at least one treatment center shall be located in each county, and not more than five shall be located in any one county. In the event the Department determines in a future year that the number of treatment centers is insufficient to meet patient needs, the Department shall have the power to increase or modify the number of registered treatment centers. (D) A medical treatment center registered under this section, and its dispensary agents registered under Section 10, shall not be penalized or arrested under Massachusetts law for acquiring, possessing, cultivating, processing, transferring, transporting, selling, distributing, and dispensing marijuana, products containing marijuana, and related supplies and educational materials, to qualifying patients or their personal caregivers. Section 10. Registration of medical treatment center dispensary agents. (A) A dispensary agent shall be registered with the Department before volunteering or working at a medical marijuana treatment center. (B) A treatment center must apply to the Department for a registration card for each affiliated dispensary agent by submitting the name, address and date of birth of the agent. (C) A registered nonprofit medical marijuana treatment center shall notify the department within one business day if a dispensary agent ceases to be associated with the center, and the agent’s registration card shall be immediately revoked. (D) No one shall be a dispensary agent who has been convicted of a felony drug offense. The Department is authorized to conduct criminal record checks with the Department of Criminal Justice Information to enforce this provision. Section 11. Hardship Cultivation Registrations. The Department shall issue a cultivation registration to a qualifying patient whose access to a medical treatment center is limited by verified financial hardship, a physical incapacity to access reasonable transportation, or the lack of a treatment center within a reasonable distance of the patient’s residence. The Department may deny a registration based on the provision of false information by the applicant. Such registration shall allow the patient or the patient’s personal caregiver to cultivate a limited number of plants, sufficient to maintain a 60-day supply of marijuana, and shall require cultivation and storage only in an enclosed, locked facility. The department shall issue regulations consistent with this section within 120 days of the effective date of this law. Until the department issues such final regulations, the written recommendation of a qualifying patient’s physician shall constitute a limited cultivation registration. Section 12. Medical marijuana registration cards for qualifying patients and designated caregivers. 1. Written certification from a physician. (a) Name, address unless homeless, and date of birth. (b) Name, address and date of birth of the qualifying patient’s personal caregiver, if any. Section 13. Department implementation of Regulations and Fees. Within 120 days of the effective date of this law, the department shall issue regulations for the implementation of Sections 9 through 12 of this Law. The department shall set application fees for non-profit medical marijuana treatment centers so as to defray the administrative costs of the medical marijuana program and thereby make this law revenue neutral. Until the approval of final regulations, written certification by a physician shall constitute a registration card for a qualifying patient. Until the approval of final regulations, a certified mail return receipt showing compliance with Section 12 (A) (2) (b) above by a qualifying patient, and a photocopy of the application, shall constitute a registration card for that patient’s personal caregiver. Section 14. Penalties for Fraudulent Acts. (A) The department, after a hearing, may revoke any registration card issued under this law for a willful violation of this law. The standard of proof for revocation shall be a preponderance of the evidence. A revocation decision shall be reviewable in the Superior Court. (B) The fraudulent use of a medical marijuana registration card or cultivation registration shall be a misdemeanor punishable by up to 6 months in the house of correction, or a fine up to $500, but if such fraudulent use is for the distribution, sale, or trafficking of marijuana for non-medical use for profit it shall be a felony punishable by up to 5 years in state prison or up to two and one half years in the house of correction. The department shall maintain a confidential list of the persons issued medical marijuana registration cards. Individual names and other identifying information on the list shall be exempt from the provisions of Massachusetts Public Records Law, M.G.L. Chapter 66, section 10, and not subject to disclosure, except to employees of the department in the course of their official duties and to Massachusetts law enforcement officials when verifying a card holder’s registration. This law shall be effective January 1, 2013. The provisions of this law are severable and if any clause, sentence, paragraph or section of this measure, or an application thereof, shall be adjudged by any court of competent jurisdiction to be invalid, such judgment shall not affect, impair, or invalidate the remainder thereof but shall be confined in its operation to the clause, sentence, paragraph, section or application adjudged invalid.